When a severe thunderstorm caused flooding in Rexburg, Idaho, on Tuesday, many Brigham Young Universit–Idaho students stopped studying for finals to serve. 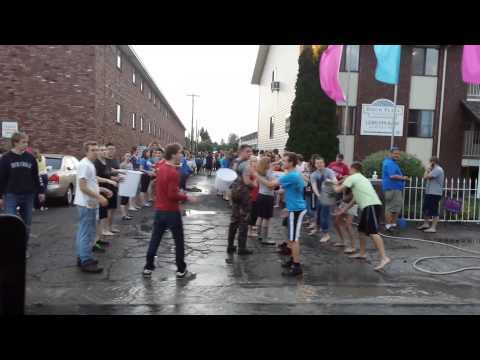 A video posted to YouTube July 15 shows students lining up with buckets, bailing water out of the Birch Plaza apartment complex while singing "Called to Serve." "As I was driving through Rexburg surveying the water damage from today's flash flood, I heard what sounded like a choir singing the hymn 'Called to Serve' and here is what I saw next!" wrote Jason Averill in the YouTube video description. "This is what makes BYU-Idaho a special place ... the people!!!" The video has more than 4,000 views so far.